Words we plan to live by. Why we should embrace our individuality. Our easy guide to crafting better outfits and a more refined sense of style. Easy updates with major results! Their responses just might surprise you! Your go-to guide for always looking and feeling great. 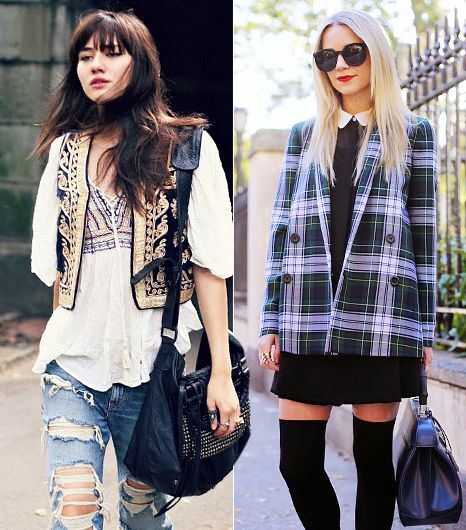 What's Your (Street Style) Type? Ever find yourself unsure of how to describe your personal style? Maybe you adore Birkenstocks, yet find yourself drawn to a tailored blazer. Or enjoy denim flares, but opt for a pencil skirt. What does it all mean? You’re not alone. To help you hone your look, we’ve gathered a group of fashionable ladies to illustrate the many different genres of style.